When your favorite team wins, it does more than make your day, it's an event worth putting up a whole poster to celebrate. 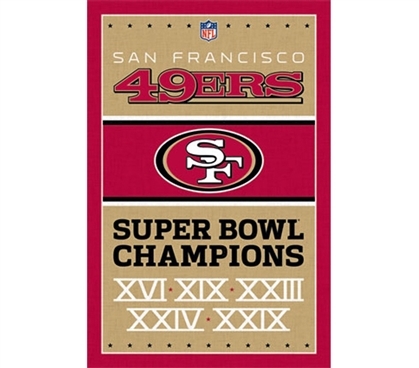 With that in mind, add this 49ers - Champions Poster to your college wall decor. Your dorm room decorating ideas should start with posters for college, as they're basic dorm items but are essentials for college. Cool dorm decorations and sports posters are much needed college supplies, so grab this college poster and start covering those walls.